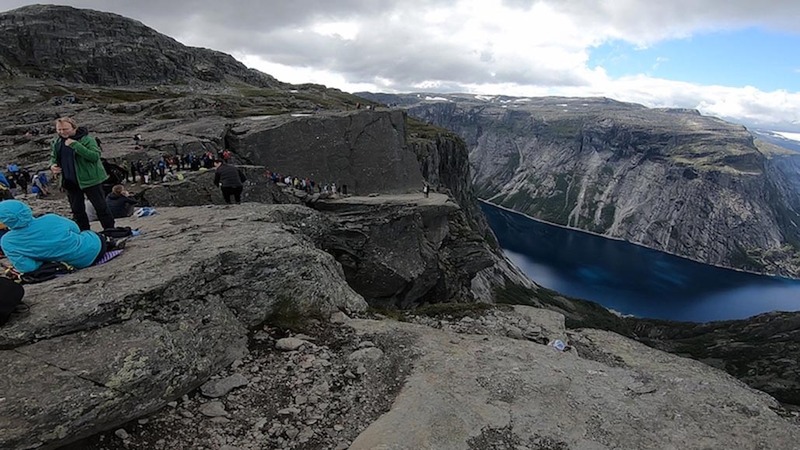 Wondering what it is like to hike to Trolltunga? 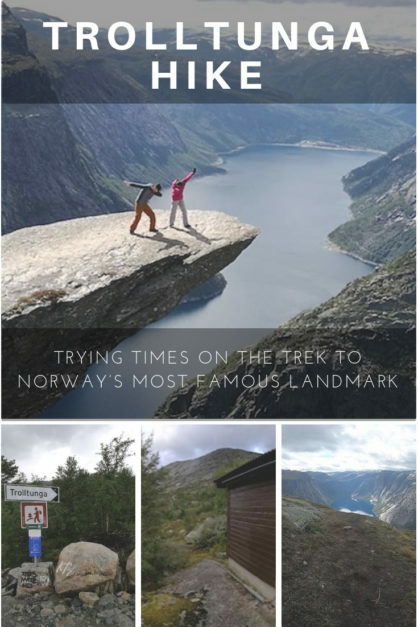 Chee of TakeOutdoors.com shares a first-hand account of trekking to Norway's most famous landmark. “If at first, you don’t succeed…” goes the old saying. Just a half hour after leaving the trailhead by the roadside near Skjeggedal, I was beginning to doubt my idea of hiking Trolltunga. I’ve always been passionate about hiking. A nature-lover at heart, I was always limited by where I chose to live. I was born and raised in Singapore, a land that makes your average pancake seem vaguely mountainous in profile. The only chance I get to train for hiking is when I dip into my “hiking trip” savings to fund and treat myself to an adventure. On my first trip to Trolltunga, my lack of training and an all-too-short weather window conspired to thwart my ambitions to see Norway’s most famous natural landmark. Now, on my second attempt, a short way up the first steep incline, my calves and the eyes of my partner — who had bravely surrendered a sizable chunk of her annual holiday allowance to join me on the trip — were asking me if we might not have broken ourselves in with something a little gentler. Or maybe we should have taken that vacation in Vegas after all. But the weather was good. Knowing just how quickly it had turned foul on my last attempt, I wanted to take the chance while the weather was good. 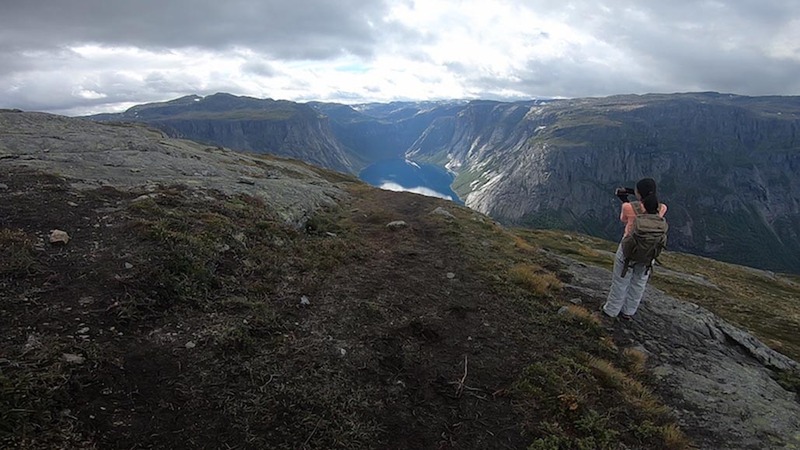 The Troll’s Tongue hike is no (pan)cakewalk. 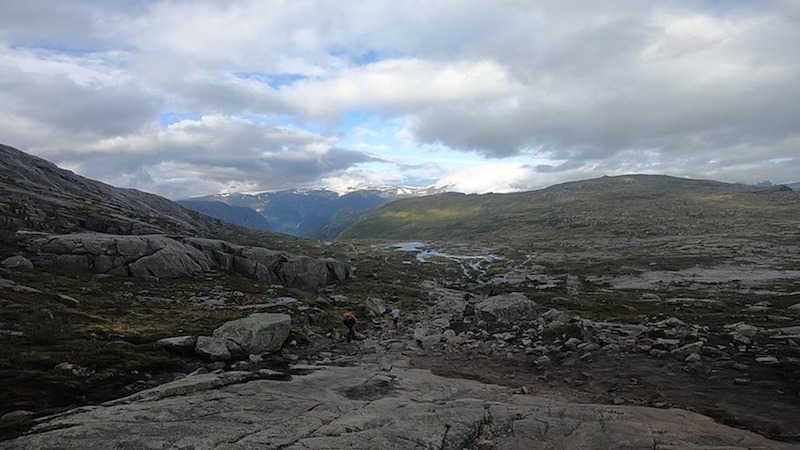 It is a 27-kilometre out-and-back trail to the impudent, protruding slab of granite that extends into an airy void some 700 meters above the teal waters of lake Ringedalsvatnet. The hike covers multiple ups and down’s before finally reaching the tongue itself. I’d seen it a million times both before and since that first trip. Each picture seemed to inspire and goad me to go back for another attempt. So here I was, this time with my partner. Also a native Singaporean and thus equally daunted by the 12-hour hike and roughly 3,000 feet of ascent that lay ahead. Like me, she’d been bewitched by the pictures and was brimming with excitement, even if the logistics had left us both a touch weary. Just to reach this point our journey had been relatively Odyssean. And it didn’t look like it was going to ease off any time soon. I’d be lying if I said a part of me didn’t wish for some kind of teleportation past the obstacles the route would present. Even if another part of me chided myself for the thought and looked forward to the challenge ahead. At the foot of the trail, schlepping our packs up the steep incline, cool wind buffeted us like playthings in its hands. I thought of another old proverb, this time a Norwegian one. The meaning, of course, was that one should not expect to reap any benefit or reward without first making some effort. Our preparations this time around had been thorough. I didn’t want to take any chances and end up going home once more without having reached my objective. To my surprise, I found an AirBnB 5km into the hike. It was a lonely little cabin that would be our “basecamp” for the next day’s adventures. We reached our cabin in the late afternoon, pleased to have made inroads into the mileage we’d have to walk the next day. We were less enthused by the lack of running water, al fresco toilet, and decidedly spartan furnishings. The next morning, our excitement and a buttery ray of sunlight seeping under the curtain of our bedroom in the cabin woke us early, at around 5:30 am. We wasted little time getting started. I knew from my last visit how fickle the weather is in this part of the world. I wasn’t willing to entrust the success of our trip to the weather forecasters, no matter how optimistic they were regarding the days ahead. Within the space of a little over three hours, we were treated to a meteorological cocktail of icy winds, rain, and then blazing sun. I couldn’t believe I needed my down jacket in the middle of summer, nor that five minutes later I’d be regretting wearing full-length pants and stripped down to a t-shirt. I’d never studied Norse mythology, but I was beginning to learn that their weather God had a pretty lively and wicked sense of humour. 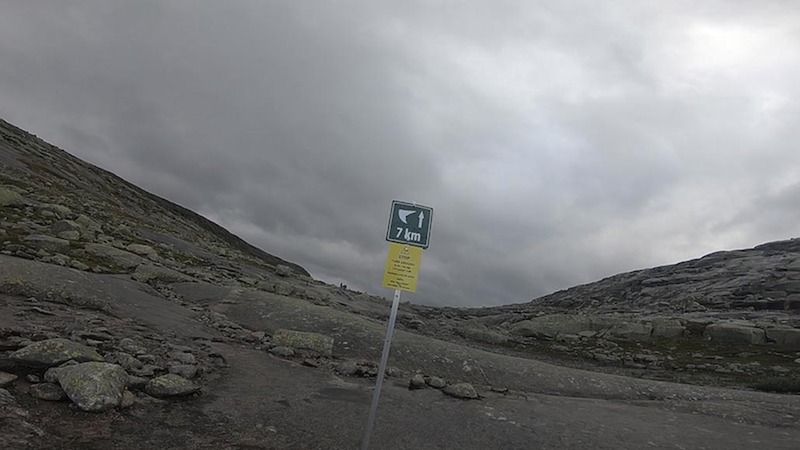 Whoever was responsible for the trail marking at Trolltunga also seemed to possess something of a penchant for mischief. Every kilometre, a white marker would appear as if to taunt me, reading “9 KM, 8KM, 7KM” and so on. “Didn’t the last sign say 7 kilometres too?” I asked my partner at one point. Sure that some roguish Norse sprite or elf had been amusing himself at our expense. Alas, no, the mischief was all in my mind, which had taken to various modes of wishful thinking in order to ease the aches and complaints arising from my body. Soon, however, and despite the toughness of the hike, it felt as though my tiring limbs were being fueled by the scenery. As you will grasp from the photos, it was prime fodder, amongst the most delicious nourishment a mind and body could ask for. Whenever I felt myself tiring, there was another new view, another angle on the gorgeous fjordland and lake below. Or the mountains shined like giant steel fangs in the distance, and I pushed myself just a little bit harder. We took frequent breaks along the way as our energy sources depleted and our legs called out for just a few minutes of respite. One stopping point was at an emergency shelter where a small band of other hikers had congregated to take on some much-needed calories and enjoy the views. Everyone there knew the prize and pièce de résistance that awaited at the end of the trail. Each was already aware of our whereabouts. The goal was just a few more kilometres of trail ahead. Far from being a mere means to an end, the Trolltunga trail was complete with sights that were worthy ends in their own right. The shimmering lake below; the giant mountains and scudding clouds reflected in the lake’s crystal-clear waters. The rough-hewn forms of the rocky bluffs and outcrops that surrounded us each step of the way. We gobbled down some peanuts and chocolate and set off on our way once more. We were tingling with that “almost there” excitement that fully-grown adults are only blessed with on very rare occasions. From here on in, I began to enjoy the journey as much as the knowledge of what lay ahead. I was already a very long way from home and the office, granted, but I might as well have been on a different planet. “The freedom of the hills,” they call it. The feeling was so overwhelming it almost sparked me to cry “freeeeeeddddddom!” à la Mel Gibson in Braveheart. Aware that the silence was one of the most exquisite highlights of the hike in itself and that there were plenty of cliffs over which my fellow hikers might throw me for disturbing it, I managed to contain the urge. Five hours after leaving our cabin, we staggered over a slight rise in the trail and there it was. 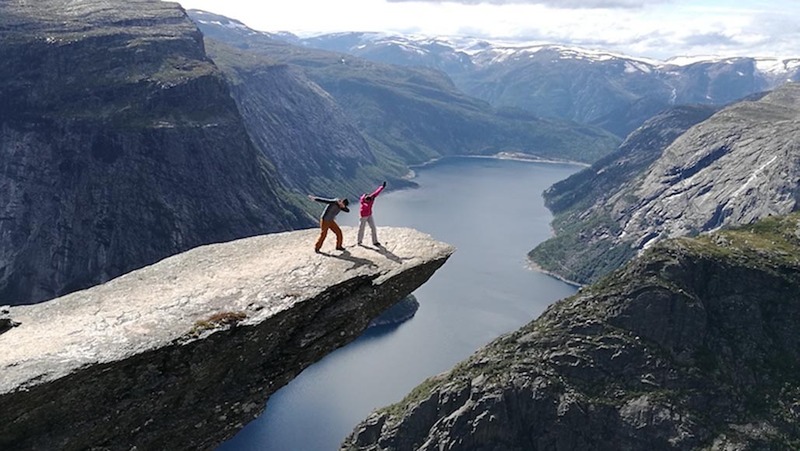 Trolltunga is the most outrageously outlandish and gobsmacking sight I’d ever seen. It looked exactly as it had in all of the photos. But seeing it in person was another matter entirely. I didn't expect to have the spot all to ourselves, but the crowd gathered at the trail’s end was bigger than any snaps on Instagram are apt to warn you. 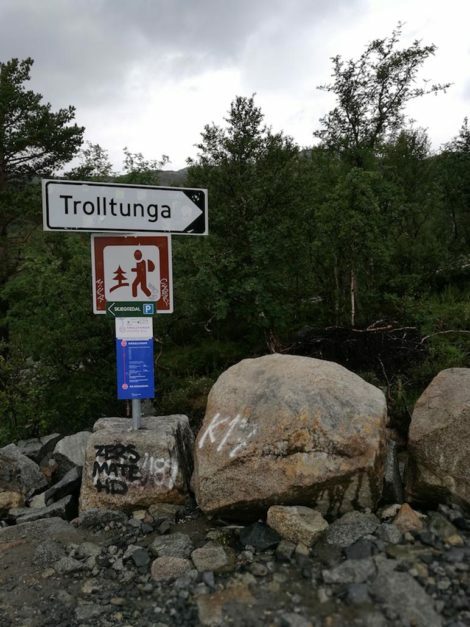 On a large rocky platform to the side of the tongue — the troll’s shoulder, perhaps — dozens of other hikers waited patiently in line for their turn. Everyone walked onto the protruding rock to take the photos that would commemorate their trip and all the efforts they’d put in to get there. After a quick drink and another snack, my partner and I did likewise. I’m unlikely to ever be accused of having the patience of a saint, but the two hours we waited to take our turn on the tongue passed almost too quickly. They were a small price to pay for such a worthy reward. As many hikers will know the descent, can be a bit of a downer. But like all good trips, Trolltunga did not feel so much an ending as a beginning. The adventure sparked feelings of inspiration. Rather than feeling like a box ticked, it spawned a plethora of other boxes awaiting me! The same way they await you and anyone else with an appetite to see more of the countless wonders our planet has to offer. Pay particular attention to your footing: the trail is very slippery in places and you really don’t want to sustain an injury when you are 12km into the trail! Finally, don’t expect to complete this hike first time around because anything can happen on the trail. The higher the expectation, the bigger the disappointment (as I know only too well)! Having now spent a few months back in Singapore, the seed my Trolltunga visit is beginning to burgeon and sprout limbs. 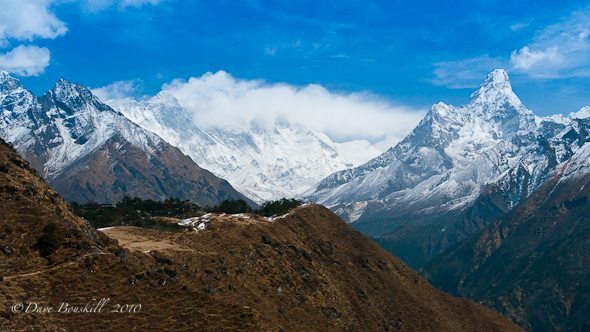 I am already planning my next trip…the Annapurna Circuit in Nepal! 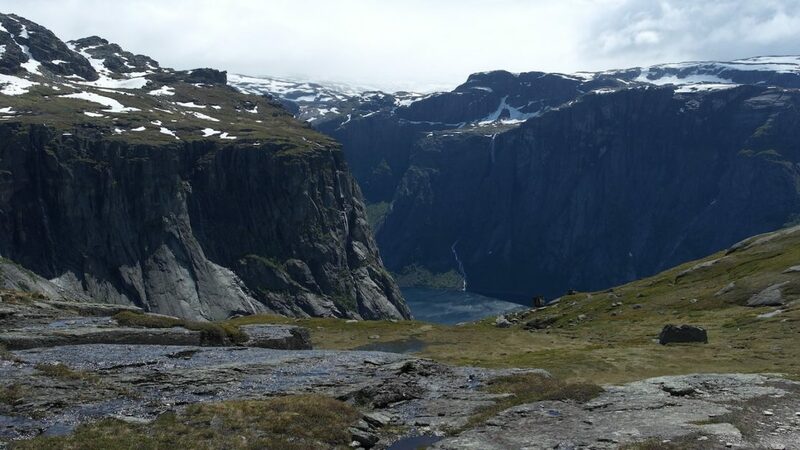 If you fancy taking on the Trolltunga hike and have any questions, please feel free to contact me! He is a passionate hiker, adventurer, nature-lover, and roamer of the world’s wildernesses. 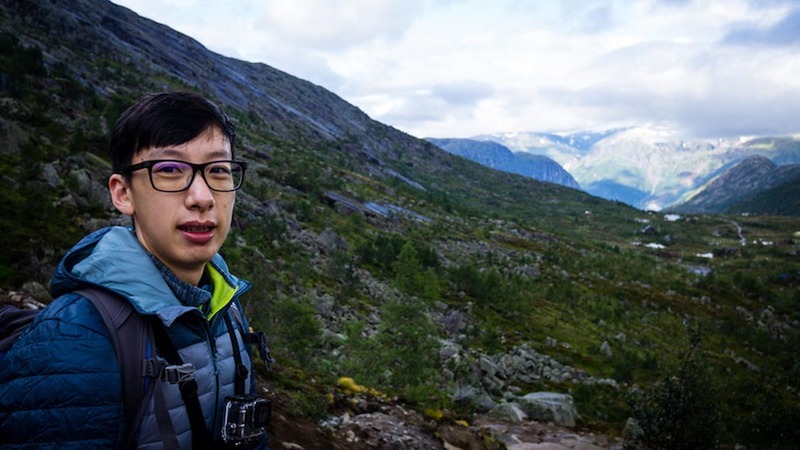 A native Singaporean, Chee loves nothing more than to escape the trail-free terrain of his homeland and head to where the good stuff’s at – the great outdoors! Follow TakeOutdoors on Facebook, Instagram and Twitter. 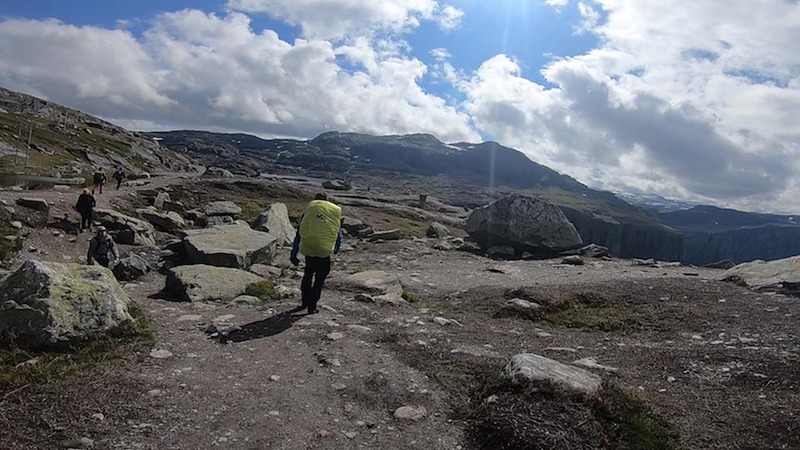 3 Responses to "Trolltunga – Trying Times on the Trek to Norway’s Most Famous Landmark"
This was very informative and helpful, Thanks for this! Travelling damages the environment, look up the environmental impact of flying. It turns what was once a beauty place for the locals into a tourist hotspot, look at the protests in Venice, it increases living costs for the locals and everything gets turned into starbucks or mcdonalds. What’s worse is that travel bloggers have gotten into this ‘off the beaten path’ mentality turning even MORE places in tourist traps. Travel bloggers not only commit to this through travelling themselves instead of having a job in society, but they exacerbate it.